Consumers are seeking help online with probate and employment matters more than any other area of consumer law, First4Lawyers, the fastest-growing marketing collective in the UK, has reported. In May, First4Lawyers expanded its service beyond personal injury, and since then the most searched-for terms on its website have been ‘probate’ followed by ‘redundancy’ and ‘power of attorney’. Most enquiries (30%) have been about employment-related matters, notably unpaid wages, unfair dismissal and contractual matters. 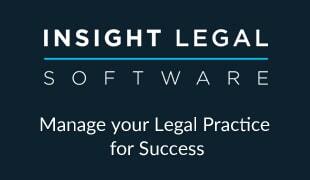 A further 20% of enquiries have been civil litigation matters. In all, First4Lawyers has received more than 40,000 visitors to its website looking for more information on the wider legal services, resulting in over 2,500 specific enquiries to its dedicated call-centre. It offers access to advice on employment, property, finance, family and driving law, and First4Lawyers is currently looking to add more law firms to the panels for each area. The traffic to First4Lawyers’ website reflects the wider trends in the market: legal services phrases have been searched over 2.5 million times in the UK since the start of May, with employment law phrases accounting for 700,000 of these searches and probate matters accounting for another 500,000. First4Lawyers managing director Qamar Anwar says: “The search figures show clearly that there is a high demand for advice across these very prominent legal terms, with more and more consumers turning to the internet for their first point of research. That we are a known and trusted brand has allowed us to make our mark quickly. “The response since we expanded into general consumer law has been excellent and we now need more firms on our panels to deal with the qualified leads we are generating, and increase the collective marketing spend. The website is supported by a series of TV and online advertisements, voiced by sports personality turned TV presenter Andrew Castle, highlighting the dangers of choosing the wrong lawyer, such as an unexpected bill or losing out due to their inexperience. Panel places are open to firms that meet First4lawyers’ highly ethical approach to customer service and marketing, with full due diligence carried out by the collective beforehand. From £1,000 a month, firms can benefit from cost-effective lead generation across a number of specific regions.